If you live in an area prone to natural disasters, there are a few steps you’ll want to take to ensure that you’re financially prepared in the event of one. We’ll walk you through the financial considerations that must take place before and after a natural disaster. There’s no telling what could be damaged as a result of a natural disaster. Seek out home insurance, but note that most basic home insurance policies don’t cover natural disasters. Supplemental insurance will need to be purchased based on the kinds of disasters that normally threaten your area. If you live near a fault line, this would be earthquake insurance. 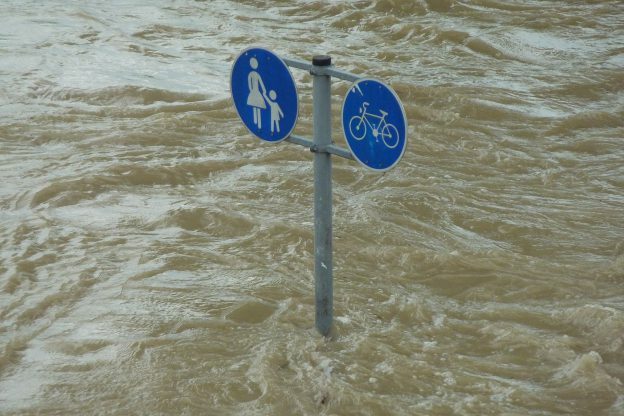 If you live in a hurricane/storm region, you’ll want to invest in flood insurance. Floods are the primary cause of damage to homes in these regions. And do so as soon as the threat of the storm/further flooding is over. You will need to estimate how much damage has been done to your home. After you have assessed the damage, you will need to get in touch with the insurance companies. You will be able to get your claim processed much more quickly if you submit soon after the disaster occurs. Claims are usually handled in the order that they are received. It is a good idea to take a picture of the damage in order to support your claim. If you have to take time off from work to deal with the disaster, then you will need to let your employer know as soon as possible. Inquire about any special forms of paid leave that are available in the event of a natural disaster. That way you can still maintain an income while getting your personal affairs in order. If you have to miss work and will not be able to pay your bills, then you will need to let your bill collectors know as soon as possible. They may be able to work something out with you, such as modifying your payments or temporarily suspending them without late fees. There are a number of resources available if you need help after a disaster. You may be able to get help from the American Red Cross. They can help you find temporary shelter if your home is severely damaged.